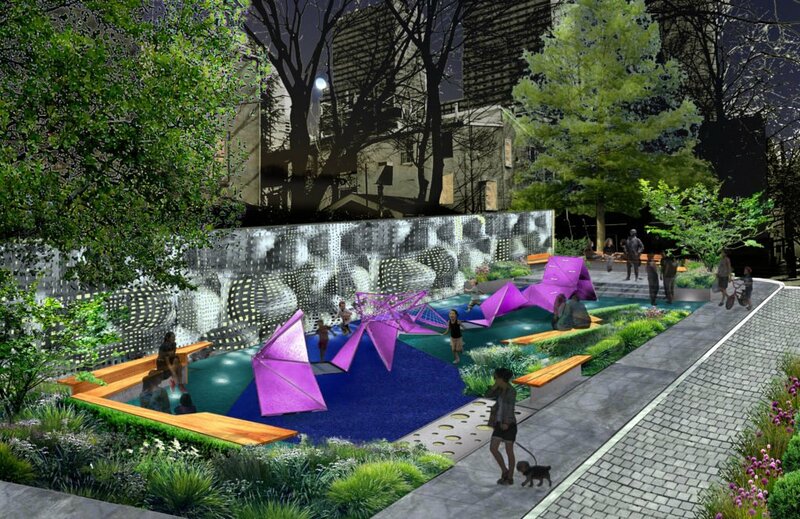 TEND was invited by the Friends of Coxe Park and Philadelphia Parks and Recreation to participate in a design competition focused on the reimagining of Coxe Park, a much-loved pocket for play and socializing in the Logan Square neighborhood of Philadelphia. 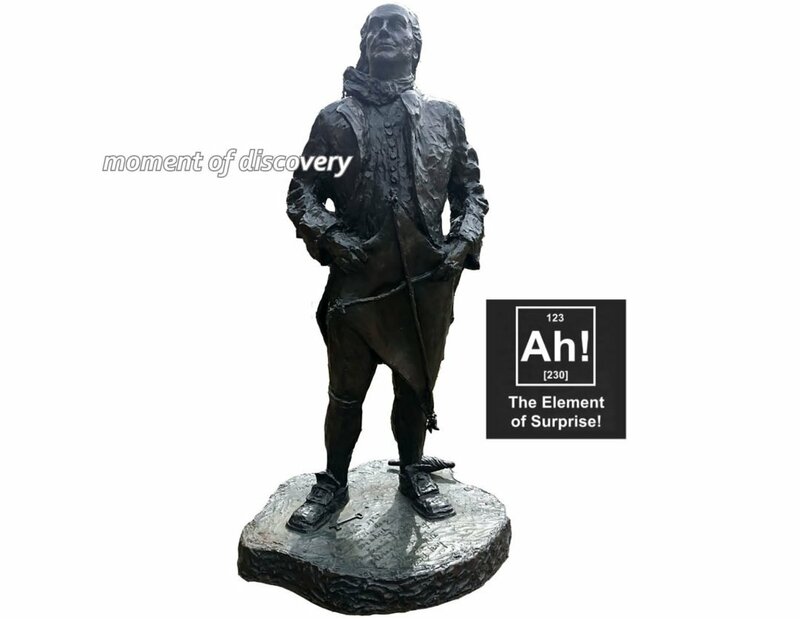 Highlighting an existing sculpture of Benjamin Franklin, and taking inspiration from his discoveries and inventions, the proposed design encourages similar serendipitous “Aha!” moments that reveal themselves through unexpected opportunities for play. Tilted, folded planes, reminiscent of a kite, invite climbing, sliding, and jumping. The design accommodates both passive and active uses, subtly separated by materials, plants, and elevation. 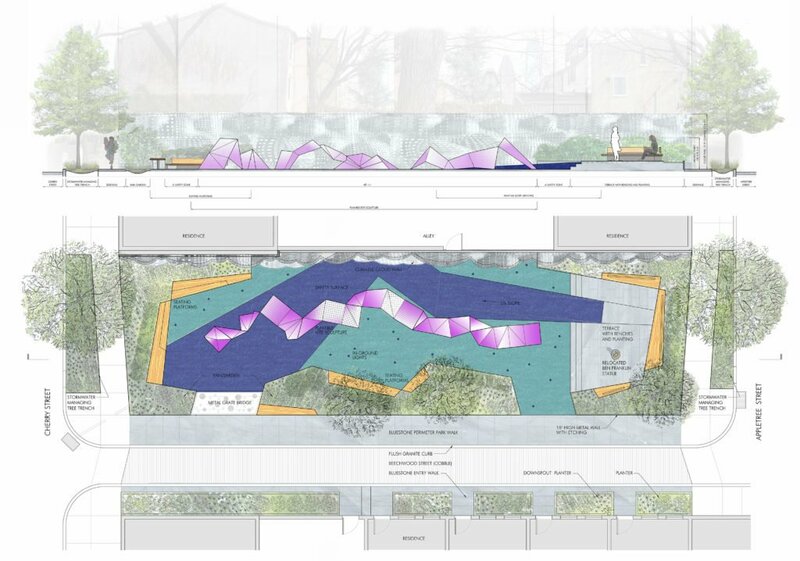 Park boundaries rise up to form a terrace, angle to manage stormwater, and visually define public and private zones. 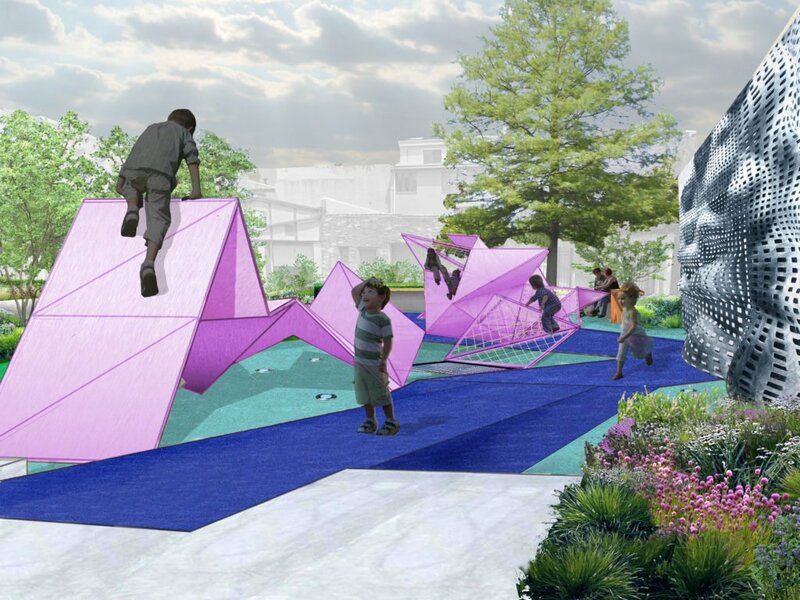 TEND’s Coxe Park design entry, Surprise…Delight…Discovery, was displayed in 2014 as part of the Community Design Collaborative’s exhibit, Play Space, at the Center for Architecture in Philadelphia.